The social media age has empowered endless self-styled experts, but I recently wrote a book with two Irish men who are the real deal: Conor and Hugh McAllister. The brothers own The Grafton Barber, a company with over 40 franchises around the country, and both of them have been working in the industry since they were teenagers. 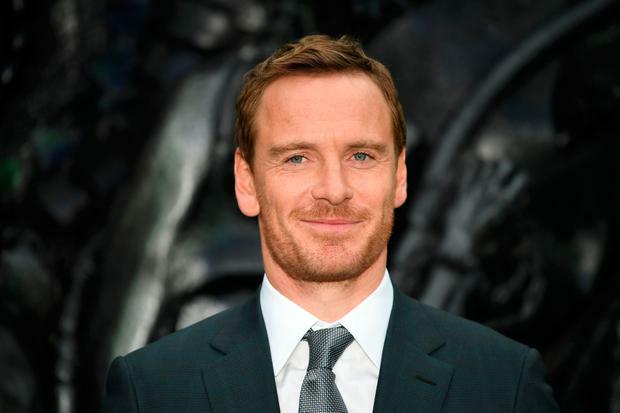 Their roster of clients includes Domhnall Gleeson, Nicky Byrne and Michael Fassbender. After several months of working together on our new book, The Grafton Barber: Grooming & Etiquette For Gentlemen & Their Sons, I have also become something of a de-facto expert in men's style. Now that the Christmas party season is in full swing (thank you Celtic Tiger part deux), here is some advice to survive the festivities, from head to toe. When it comes to skincare, it's important to do your research and don't be afraid of having a bathroom shelf brimming with (necessary) products. Think of everything you've done during the day - your commute, work, the gym, cooking. Can you imagine not washing your hands at all during that period? Your face is exposed to the same elements, so it's important to remember that it also deserves a good scrub at the end of the day. Invest in two types of facewash - one for daily use and one as an exfoliator no more than three times a week. Wash your face with the more gentle product twice a day and never use soap. First and foremost, hydration is a good practice to adopt even when you're not having one-too-many at the Christmas party, but it's even more important to help you - and your skin - recover from overindulgence. When it comes to moisturising, sometimes a gel is best. Every skin type is different, but gels provide more of a protective layer for your skin, which is an essential barrier, especially if you're living in a city. Psychologically, most of us feel that a cream goes 'deeper', but unless you suffer from extremely dry skin, it's not imperative. And don't forget daily SPF - yes, even in December. Moisturising isn't a technique solely for your skin, but also something to consider if you have a beard. In particular, if you decide to shave off your facial hair, most men will find the skin gets irritated afterwards because it wasn't getting enough TLC while bearded. If you're keeping it: argan oil is your best friend. It tackles static hair and nourishes the facial hair from the roots. Try a combination of a beard comb with oil twice a day to kickstart your journey. Don't forget aftershave. The astringent in aftershave is essential for two reasons: closing your pores after a shave and disinfecting anything under the skin. Shaving is something of a natural exfoliant (which is why you often hear of women using a razor on their face without any visible facial hair), both with the hair removal and motion - it naturally stimulates your skin's follicles. Cleanse and rinse with water after to avoid blocking pores and breakouts. Good hair starts in the shower. If you're prone to dry hair, try a shampoo with moisturising properties and apply conditioner four times a week to keep it hydrated. Avoid any products with sulphates (the same applies to curly hair). For oily hair, evaluate first if you need to wash your hair every day and then search for a clarifying shampoo to remove any unwanted product that may be lingering if it's too heavy for your hair. Don't be afraid of hairspray, especially if you'll be out after hours, for a long-lasting hold. Here is some essential advice, with science on its side: don't experiment with a new scent for a late night social situation. Nightclub settings are prone to causing extra sweat and sweating causes your pores to open, which carries the scent longer, which is the last thing you want in some cases. Always spray on pulsating points - areas of the body that have a natural warmth, like in the crook of your arms, your chest and wrist. If you have sensitive skin, you can massage it into your hair which can hold smells longer than the skin. Same goes for your clothing. The best time to apply fragrance is after a shower when your skin is freshly warm and dry. Make a subtle statement befitting a grown man and not a teenager let loose with his first can of Lynx. It's always better to be overdressed than under-dressed, especially if it's an opportunity for celebration. Not only does it put forward an element of respect for the occasion, but it's a practical way to ensure confidence - you can't swap a pair of beat-up runners for a pair of brogues when you're already out and committed to your first drink. If you're willing to brave the shoes-without-socks phenomenon, remember that is requires a certain panache to pull off - as well as a pair of easily hidden pop socks to avoid irritation. Legendary designer Coco Chanel's advice remains true to this day for men and women: "Before you leave the house, look in the mirror and take one thing off." When accessories are done right, they are an oft-underappreciated outfit enhancer, so don't underestimate the impact of a good watch or a pair of cufflinks, depending on the dress code. As the time of 'New Year, New Me' approaches, start editing your wardrobe in advance so not only do you know exactly what clothing you have to work with if you have a demanding social schedule, but you can donate the rest to charity. The general rule is if you haven't worn something in a year, it's time to say goodbye.